Houses, Condos, Lofts: View the homes I currently have on the market. Calling all first-time Buyers, Builders and Investors! Welcome to Marvellous Mimico. It's the quintessential Toronto neighbourhood located steps to the lake. 101 Cavell Ave is chock-full of opportunities. Centuries ago Long Branch was a haven for summer cottagers looking to escape the city. Now it is the home of one of Toronto's best new neighbourhoods, Minto Long Branch. Hip suite in a hip part of town. Davenport Village is known for its trendy bohemian vibe. It's gone through some major revitalization over the recent past, and now you can be part of the action. A fabulous fully renovated home in the highly sought-after downtown Toronto neighbourhood of King West Village. This beautiful home is loaded with modern extras thanks to its recent renovations. 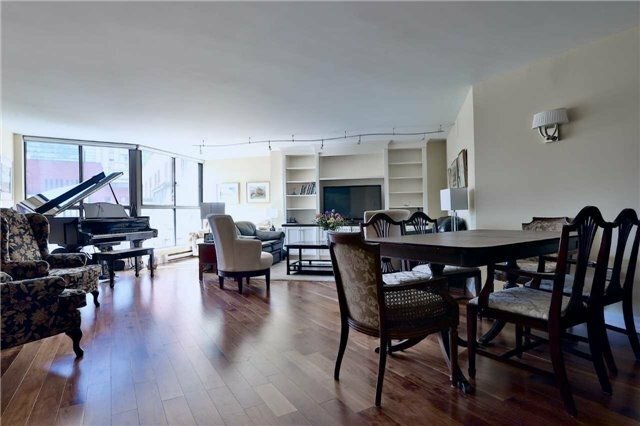 Meet 550 Hopewell Ave, a delightful loft complex famously dubbed West Village Loft. This stunning 2-bed], 2 bath unit is flooded with natural light thanks to the large windows, skylight, and soaring 14’ ceilings. Quietly located in the perfect Scarborough neighbourhood this solid brick Birch Cliff Village bungalow is bursting with opportunity. Located directly across the street from St. Lawrence market this gorgeous 3 bedroom condo is smack dab in the heart of the city. Thoughtfully laid out with 1881 square feet of space. At almost 900 sq. ft., this spacious corner suite in the heart of the highly sought after Liberty Village community is chock full of goodies. Spacious with 2+1 beds, 2 bathrooms. Liberty Village beauty! Walking distance to shops, restaurants, cafes, and TTC, this gorgeous condo is light-filled and spacious. Located in Burlington, this detached home is perfect for families. and is an great opportunity to be in an amazing neighbourhood on a quiet street. Get your fascinators and fancy tea set ready, because you’ll want to emulate royalty. 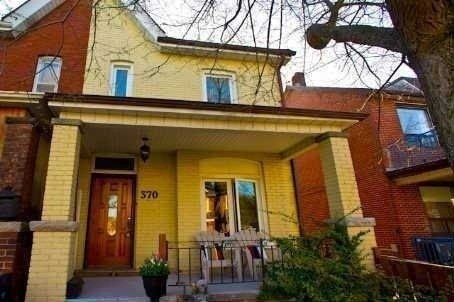 Truly special and fully updated home in the super cool Christie Pits neighbourhood.. Hold up your torch, throw on your crown, and declare Liberty Village as your new home! 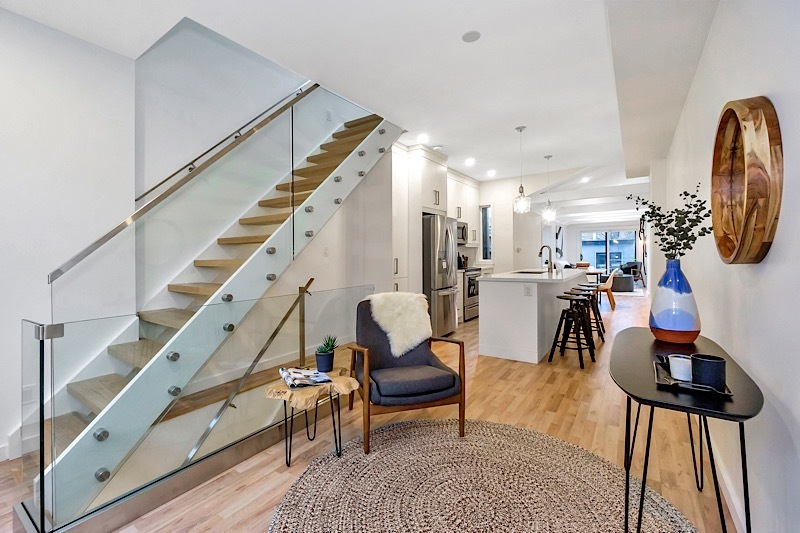 This pristine 2-bed, 2-bath multi-level townhouse in the heart of none other than Liberty Village is as royal as it gets. Congratulations to our client who purchased, and is now leasing out this gorgeous townhome condo just off of Royal York Rd. Full of light, this unit has an awesome layout! You will never make quite the dash home as you will once you decide to call 370 Delaware Avenue home. 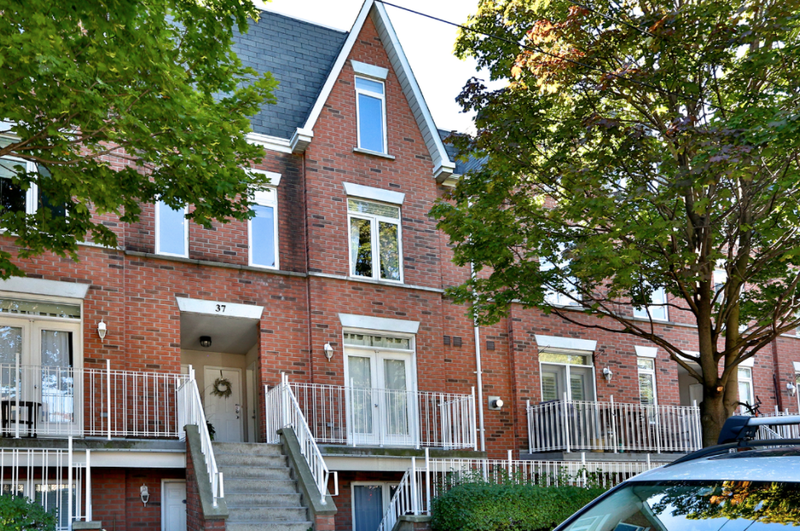 This two bedroom, one bathroom, 2nd floor flat is in a charming Dovercourt Village duplex. There's nothing drab about #612 @ 66 Portland Street. 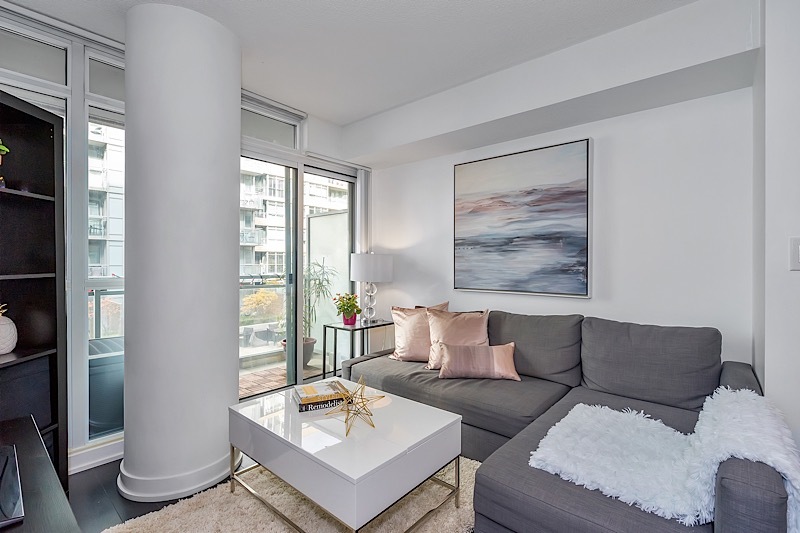 Located in the beautifully renovated Loft Boutique in the 'Fashion District', this fabulous unit boasts 10-foot exposed-concrete ceilings that ooze modern living. Prime location, impeccable style, and utter convenience. 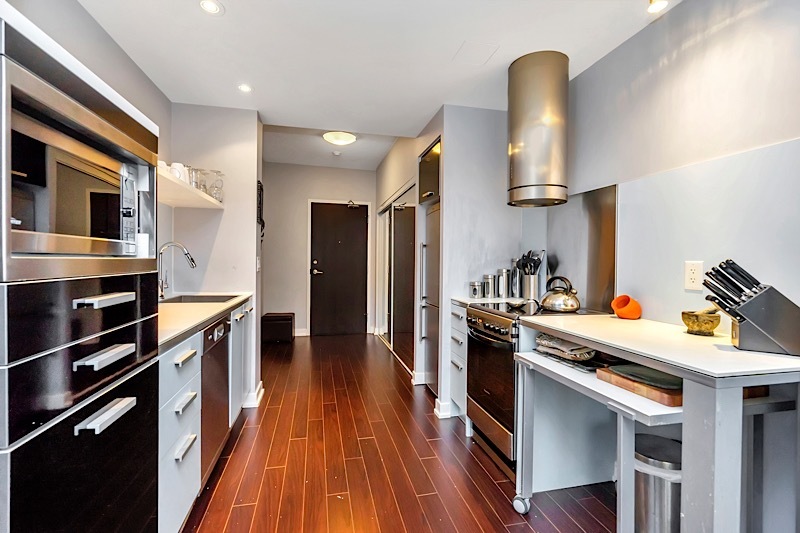 This lovely 1-bedroom + den unit is chock full of goodies, & nearly 700 sq.ft of space. Davenport Village is known for its trendy bohemian vibe. Now you can be part of the action! This brand new unit is an awesome opportunity to get into this great revitalized neighbourhood. Quietly nestled between Queen and King Street West is the perfect two bedroom, condo townhouse. Enjoy plenty of square footage (almost 900 sq. ft.) in this fabulous 2-story townhome. This suite is all about accessibility, being mere steps to Toronto’s Harbourfront, the subway, The Underground Path System, and so much more! Welcome to Davenport Village! This beautiful townhouse is located in a quiet neighbourhood, yet is accessible to the activity of downtown. Amazing opportunity awaits in beautiful Leaside! Extra large 30.88 x 132-foot lot is the perfect backdrop to build your dream home if you so desire. Great opportunity to get into a great neighbourhood. This home is newly renovated, so it's turn-key and ready for you to move your stuff in. There's really nothing for you to do except change your mailing address on your driver's license. Modern and sleek 2-storey loft at the Liberty Market Lofts right in the Heart of Liberty Village. Large open concept living & dining room with soaring 17’ ceilings and floor to ceiling windows. Located just south of King Street West, this bright and spacious one bedroom plus den (which can be used as a 2nd bedroom) is approx. 742 square feet. Fantastic opportunity to get into a great neighbourhood. If we were the betting type, we'd be pretty confident to bet that 10 Capreol Court #316 at City Place's Parade is the picture of perfection when it comes to location, amenities, convenience and accessibility. The one and only Gooderham Condominiums. This lovely sun-filled corner suite boasts a highly functional split two-bedroom, 2-bathroom layout. Welcome to Davenport Village! This isn’t your average townhouse: not only are you blessed to be on the corner, you’ll also have the privilege of enjoying an oversized private terrace. 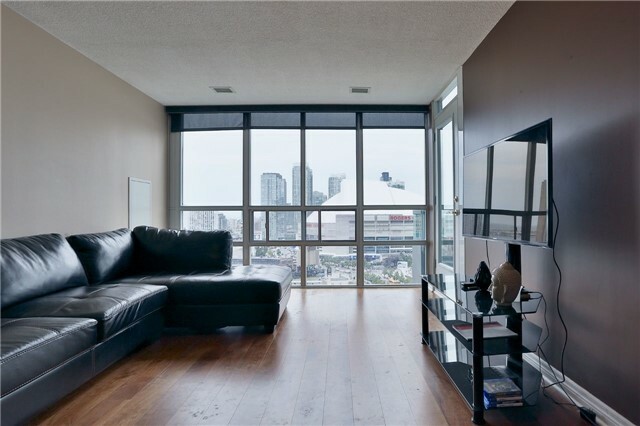 Rarely Offered One Bedroom Townhome In Highly Sought After Liberty Village. It features a huge Private Outdoor Terrace, Hardwood Floors, Open Concept Kitchen With Breakfast Bar. Spacious, and newly renovated, this townhome is perfect for both first-time home buyers and investors alike. An opportunity not to miss! Built by The Lifetime Group – the same developer behind the Four Seasons Hotel and Residences, this is an opportunity you don't want to miss.